A trial level public defender can constantly learn from post-conviction innocence cases. The innocence movement is uniquely situated to expose wrongful convictions of the innocent, often through DNA evidence which identifies the real perpetrator. The exoneration cases expose structural flaws in the criminal justice system and provide evidence to advocate for reform. In other words, they help answer these two important questions: What keeps causing wrongful convictions? How do we prevent convictions of the innocent? •Bad Lawyering <—-See that right there on the list? That’s disturbing. Structural reform is sometimes slow. While policy makers fight for legislation, our pending criminal cases are making their way through trials and appeals, in the imperfect system we have right now. We are on the front lines when the prosecutor engages in misconduct or tries to introduce evidence of a suggestive identification, a coerced confession, a sleazy snitch, or junk science. 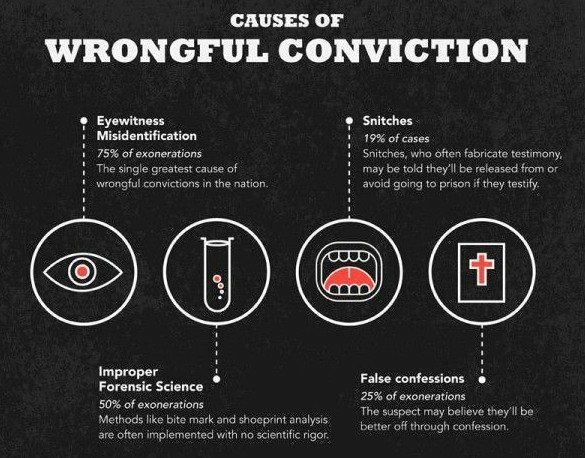 As trial attorneys, we need to be vigilant in litigating the hell out of these issues to prevent wrongful convictions from occurring in the first place.